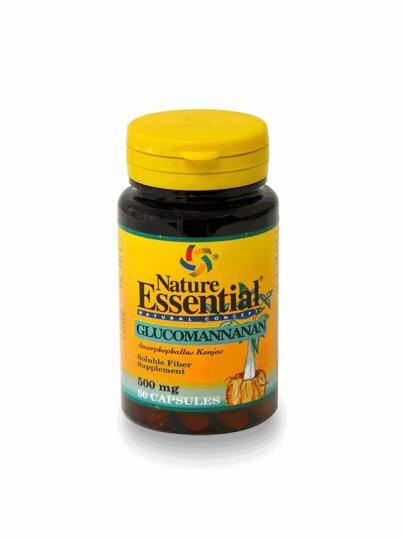 Glucomannan is a polysaccharide, which is obtained from tubers of Amorphophallus konjac plant Asian and mannose in a ratio of 1: 1.6. Its main feature is the ability to absorb large amounts of water, and when it swells, its volume increases up to 50 times! That's why the stomach creates a feeling of fullness and satiety. After taking, the product is not absorbed, has no caloric value and is a great help in weight loss. We recommend two (2) capsules three (3) times a day, half an hour before each main meal. Swallow capsules with one to two glasses (250-500 mL), non-carbonated water. The active ingredients (1 capsule): 500mg glucomannan. Inactive ingredients (1 capsule): cellulose, gelatin, magnesium stearate.